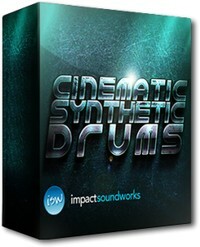 Impact Soundworks has released Cinematic Synthetic Drums, a free sample library for Native Instruments Kontakt. 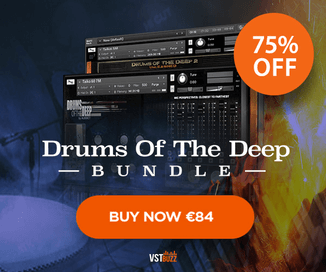 Cinematic Synthetic Drums (CSD) is a comprehensive library of original, synthesized drum sounds perfect for electronica, cinematic and hybrid scores. 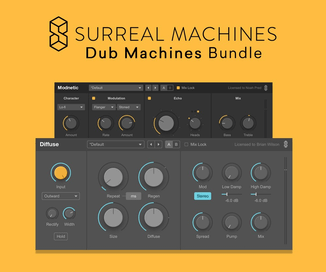 ALL sounds are 100% original, crafted from scratch using subtractive synthesis, FM, additive, wavetable, modular, and more, not to mention an arsenal of processing techniques and FX. Included are 50+ individual drum sounds with 10x RR each, plus bonus drones, textures, reverses and bass drops. The library is programmed for Kontakt with a handy scripted interface featuring per-note and global volume/pitch, an ensemble-maker and FX. Types of drum hits include bass kicks, toms, slams, taikos, snares, splashes, hats, thips, crashes, and more. All sounds are unlocked WAVs so you can load them into your own sampler of choice! 100% custom sounds – no drum machines or pre-recorded samples. Pre-processed and ready to drop into a mix. 10x RR layers per drum. Bonus drones, textures, reverses and bass drops. Custom scripted UI with FX, mixer and ensemble maker. The sample library is a free download.